Stringr John Joeb shoots real estate marketing videos by day for his production company ClearlyFine, but enjoys the extra cash he can get by being an active Stringr in his free time. Joeb quit the hospitality industry in 2013 in order to pursue his dream of being a full-time filmmaker. He answered an ad for a real estate videographer, and got the job thanks to his associates’ degree in filmmaking. Nowadays, Joeb’s day job involves using drones and glide cams to capture professional footage of beautiful properties in Florida, skills that easily translate to being a great Stringr. Here are his tips for using natural lighting. Last week, Target announced that it would close 13 stores nationwide, including Joeb’s local store in Florida. Joeb shot fantastic b-roll footage of the store exterior and interior for Stringr. 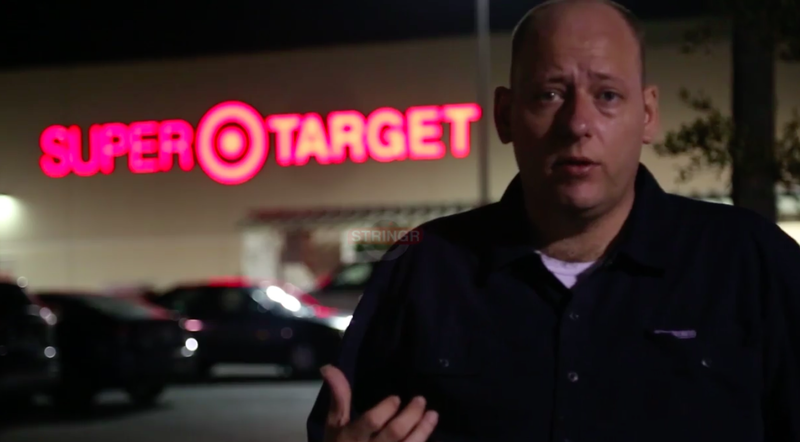 John Joeb stands in as an interview subject in his Target footage for Stringr. Stringr: Walk us through the process of the shots you captured at Target. Joeb: I approached a couple of people and they weren’t willing to talk on camera. So I thought, I need an interview, and I myself shop at this Target, so I’ll just do it. I knew that I wanted to do a rack focus, and that’s where the subject is really crisp, and the background is blurry. I knew the Target logo would be recognizable. I put something on the ground, to mark where I was going to stand, and I recorded for a few moments. Then I went back and looked at the shot, to make sure that I had the focus and the lighting right. I knew the lighting was better near the store, but I liked the dramatic lighting of the logo versus the natural lighting that I had above me. I just used the lighting from the parking lot, and I made sure the shot looked good. A diligent mailman wading through floodwaters to do his job: a still from footage Joeb captured for Stringr when Tampa had severe flooding in August 2015. Stringr: What are your lighting recommendations for outdoor shoots? Joeb: Even for the photography that I do, I love natural lighting. The flash, you can tell and it just doesn’t look right. Stringr: What types of external lighting devices do you use, if ever? Joeb: In a controlled lighting situation, I use five or six lights, to make sure that everything is lit evenly. I prefer LED versus anything else, because of the heat. I don’t want my talent to sweat during real estate shoots. Stringr: What are your tips for shooting at night? You’ve got to know your surroundings. Number one, make sure you have no noise by adjusting the ISO and aperture. I don’t always follow the general rules that we learned in film school, but I just make sure that the shot looks good to me. I say, follow the light. If you know your camera and you know your craft, you can make it work. Still of a shot of Jeob’s Target footage. Stringr: How do you plan a shoot? 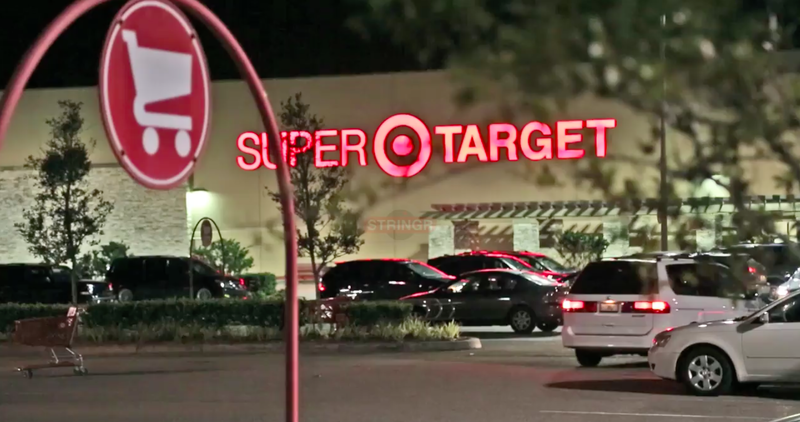 Joeb: While I was driving to the Target store, I was thinking about the layout of the parking lot, what light sources were around, my kit, how busy it would be. I just wanted to make sure that everything was lit evenly. When I arrive, I look at the scene, get my camera out, and look for something that works. 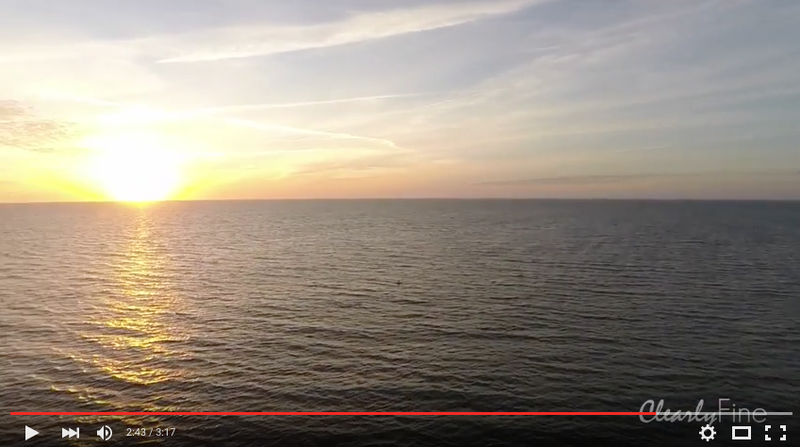 A still from drone footage captured by Joeb for his production company, ClearlyFine.